Pumpkin might not be an obvious addition to chili, but we find it gives body. 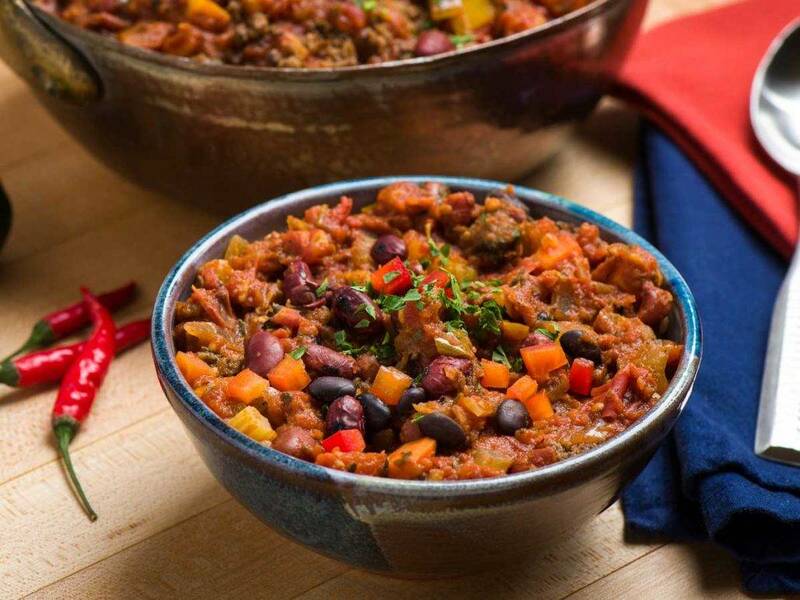 On cool days, pumpkin chili really hits the spot with the smoky, spicy flavors. Serves 4. Saute the ground beef in a soup pot, then drain off any fat. Add the remaining ingredients, except cilantro and lime juice, and simmer until vegetables are well cooked. Mix in the cilantro and lime towards the end.